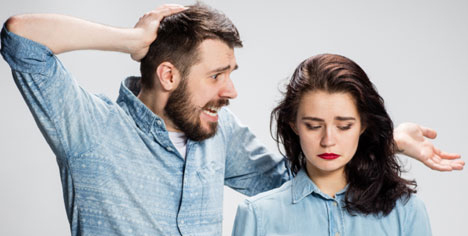 Though you decided you will not fall back into the same old argument cycle with your partner… you find yourself precisely down the very path you swore to never tread again. Are you sick of the fighting? Fighting is not detrimental for relationships, however it is important to be intentional in how, and how not to fight, and it is important to know boundaries. It can be healing to create awareness and respect for the fact that you and your partner are entirely different people with different views and different ways of processing. Your partner’s life experiences are different from yours. Just simply acknowledging your partner’s experience in a particular instance can help de-escalate and defuse an oncoming or ongoing fight. For example it can be healing for your partner to hear you say “I understand your feeling unloved when I work late several days a week, because it seems you interpret my working late as my not caring for you enough to spend time with you. But that is not at all how it is for me…” It can be exceptionally powerful and satisfying for your partner to feel they are heard, understood and their feelings acknowledged. At the same time you are still holding true to your experience… of how it is for you. Remember things that are said in anger may not hold true. Even if you feel strongly during the fight, it does not mean you will feel the say way about the matter afterwards. After tempers have cooled, the feelings might change completely. Remember not to use ‘always’ and ‘never’. In the heat of the moment it is tempting to use these words, but they rarely, if ever, truly apply. Look a bit deeper into your situation and you will see this to ring true. Limit your fight to that particular incident, and refrain from generalizing and using ‘always’ or ‘never’. Remember it’s your partner you are in this with; your loved one you are sorting things out with… it’s okay to be vulnerable! Most relationships go through seasons and even daily weather within these seasons. To keep healthy, most relationships require intentional and mindful maintenance. Being invested in your relationship, putting in the work and weathering the storms with steadfastness, if and when they come, is key. Your fight may be symbolic of the real issues which typically includes feeling unheard, unloved, undervalued… or some version thereof. In a relationship, if an injury has landed advertently or in-advertently it is important to take steps to repair. Acknowledging, then validating, and then empathizing with your partner are ways to de-escalate and repair. Instead of criticizing your partner, talk about how it makes you feel when a hurtful act is done by your partner. Condemn the act and not your partner. Creating a caring and compassionate dynamic in your relationship is an evergreen investment, and little acts of kindness, go a long way! Listening with interest and attentiveness can lead to not only questions and new curiosities… but great conversation! Blame does not lead to resolution. Look at past mistakes with the goal of learning from them, not with the goal of finding your partners mistakes. Accept past mistakes with grace. On seeing positive behaviors, actions, suggestions, solutions… acknowledge and encourage these! Don’t forget your love story! While trying to resolve a fight think through everything you say… don’t react! Consider how to express calmly and constructively, from a place of compassion. Your reaction may include reflection – reflecting back to your partner calmly what you heard them say. Avoid sensitive conversation topics when you are tired, overwhelmed or overly distraught. It may lead to flare ups. Remember it is okay to not always have the last word. It is okay to not always be right. And it is okay to prioritize love above all else! Even when things are awry… a simple compassionate (non-sexual) gesture of touch is a non-verbal way of telling your partner you love them. 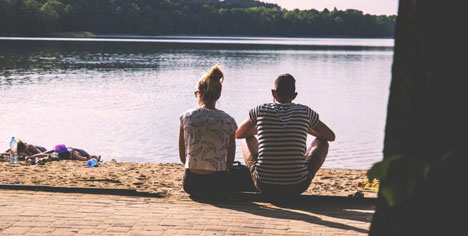 In conclusion, with consistent and intentional effort, and the realization that you are in your relationship with a whole other person who will not always be the way you want her or him to be, and who may interpret the same instance vastly differently from you, you find you have the space for these differences, and you are fighting less. Previous postDoes marriage counselling work?